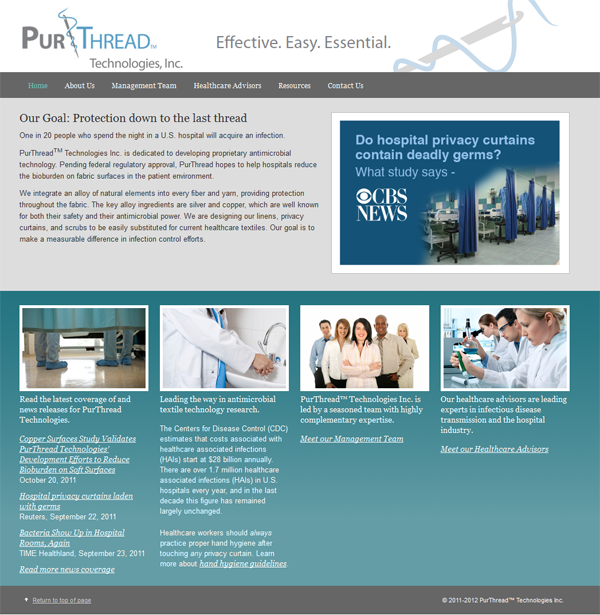 This site (www.purthread.com) was originally designed very quickly in WordPress (took just a couple of weeks) to enable the new CEO to launch an aggressive private funding round. The site has since expanded quite significantly with the new funding and dramatic press attention. PurThread sees a steady stream of well-qualified leads coming through the site, keeping them quite busy as they prepare for the initial sales of their products.